This month sees the launch of the Society’s revised Practice Guidelines. Sitting underneath our Code of Ethics and Conduct, and alongside our Code of Human Research Ethics, this is one of our core guidance documents. 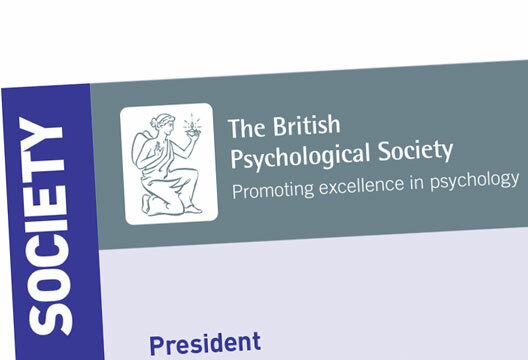 It is one of the things we are here for as a Society, differentiating the contribution psychologists, our members, make and supporting them in their work. Some 30 Society network and expert groups have participated, as have experts by experience, representatives of Northern Ireland, Scotland and Wales, and external bodies, working together to produce a product for use across the discipline. So what’s new, you may be thinking? The Guidelines have set out best practice to assist psychologists in areas where colleagues report issues. One is the quality of the physical working environment and safety. Another is the need for support with working relationships, setting expectations of appropriate behaviour and addressing harassment and bullying. Pressures on service delivery and ‘doing more with less’, plus raised expectations on professionals to report and take action when things are wrong, have meant there is a need for guidance on whistleblowing. This has been placed in the context of the work we do on workplace culture and positive managerial and leadership behaviours. The other side of the coin is supportive guidance on what to do when things go wrong, the duty of candour, and supporting a colleague when a complaint has been made. Inclusion is an area of focus this year and the Guidelines reflect this: working with cultural difference; faith, religion and spirituality; with sexual and gender minorities; and with people who may be socially excluded. Guidance is also given on working with people who may be vulnerable because of their situation such as unemployment. Other issues addressed include safeguarding, both of children and vulnerable adults; the management of cases of historical abuse; and modern slavery. There are also updates of all the content you have come to expect. For the first time, the Guidelines will be presented interactively on our new website, with links to relevant supporting material. So what do the Guidelines mean for you and me? They offer clarity of expectations for our clients, support our practice, underpin our teaching and provide a means to benchmark standards. Most importantly, they will be informed by use and further developed as a result.